Is Koh Tao Safe for Travelers? An Insider’s Perspective. It is impossible to not come across negative media attention when researching a trip to the beautiful island of Koh Tao. Just a quick search returns more terrifying articles than articles about actual life on Koh Tao. So when considering a trip to Koh Tao, you may have asked yourself, is Koh Tao safe for travelers? Let’s not pretend that the Koh Tao murders didn’t happen. They happened. Whether they deserved the amount of media attention they got is highly debatable. The horror of what happened here shook our little community and it will be part of our history and we will never forget it. The entire local and expat community of Koh Tao wishes the grieving families peace and justice. 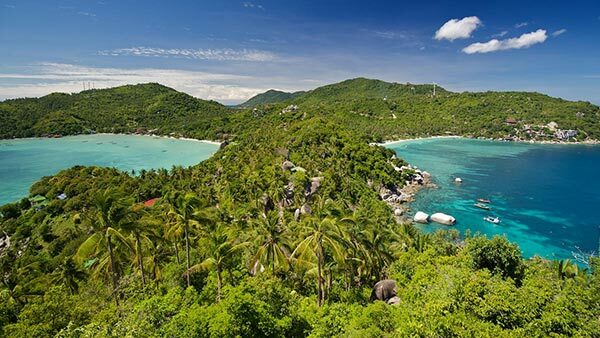 Let’s explore some common misconceptions about Koh Tao and attempt to paint a more realistic image of Koh Tao. Whether you believe in everything you read in the media or on the internet depends on every individual. Our advice is to take it all with a grain of salt and to apply your intellect to information you gather online. Some of the articles written about the Koh Tao murders are highly void of any actual journalism and lack factual statements all together. There is huge bias in today’s sensationalised media. What would attract more clicks for a news website? Clearly the second headline is juicer for a tabloid. We also need to consider who writes such articles. It is very difficult for an outsider to cover such a high profile story without some shortcuts. Some of the locals are not familiar with how to interact with the press and this was easily and certainly abused. In fact many residents of Koh Tao were contacted via Facebook in order to reveal their experiences of the murders and what Koh Tao was really like now. From these snippets of information, somewhere in an office in a rainy city on a Monday morning they conjured up a juicy story about murders in paradise. A little bit of envy maybe of travelers having the time of their lives and many happy Thai families, dive instructors, dive masters, expats and business owners that love Koh Tao and its tight knit community. A community that banded together to help rescue the cave boys. Very easy to write a negative story with little actual information of a place that was unheard of before. Most readers are tired of reading about the same crimes and violence occurring daily in their major cities and all around the world. It is far more fresh and interesting to read about a crime committed in paradise on an unknown tropical island in a land far away. Consider the credibility of articles that you read. Poorly researched media click bait or a blog from a visitor to Koh Tao who spend a few weeks here is no accurate image of the true vibe on Koh Tao. There are even fake news sites that attempt to simply cash in on trending stories in the main stream media. Now to make things worse, such articles are the same fear inducing media that fills people’s Facebook feeds, where sharing crass articles gets more likes and shares than articles about the environment for example. Without a thought given, people warn their friends about travel to a place that they have never heard of before nor visited themselves. Many of us got these warnings ourselves, urging us to pack up our lives here and go elsewhere. To make matters even worse, once there is negative press about a successful and beautiful location with many thriving businesses and excellent dive training, we have many jealous competitors fuel the fire. Competition in other destinations go as far as to feed the beast and provide travel warnings to people in order to persuade them to avoid Koh Tao based on their own interpretation of this information that suits them. Traveling today is vastly different to traveling prior to Wi-Fi. Internet and information, whether there is any truth to it or not, is readily available. Instead of talking to other travelers or locals about a potential destination, we sit by ourselves and everyone in the group is on Trip Advisor. With the vast amount of reviews available on the internet, any sort of opinion or actual feel of a place, a business or a destination is diluted to a degree where it becomes useless. Bring a little bit of spontaneity and adventure to your trip and follow a personal recommendation rather than an anonymous review that was potentially written by a competitor. Take the collective voice of the local Thai population and a community with hundreds of foreign members that have lived here for 3-15 years and even longer. It is in every business owner and community member’s best interest to keep Koh Tao safe. We leave our keys in our motorbikes our wallets and phones laying on the table without even thinking about it. There is also the concern for our visitor’s safety with more and more CCTV cameras being installed on our island. We love Koh Tao and we love showing travelers from all corners of the world our beautiful little island and wonderful underwater world. We’ll gladly have a Leo Beer with you over our stunning sun set and chat to you about life here. Maybe you will then share your actual opinion of Koh Tao with travelers that you meet on your adventures. There is nowhere in the world that safety can be guaranteed. What safety are we talking about? Is it safe to drink buckets or alcohol here? Is it safe to ride a motorbike here? Is it safe to eat sea food here? Is it safe to dive here? We love to party on Koh Tao. Does this now mean that you shouldn’t? It certainly doesn’t. If you are getting blind drunk you need to be aware of your surroundings and keep your guard up just like anywhere else in the world. 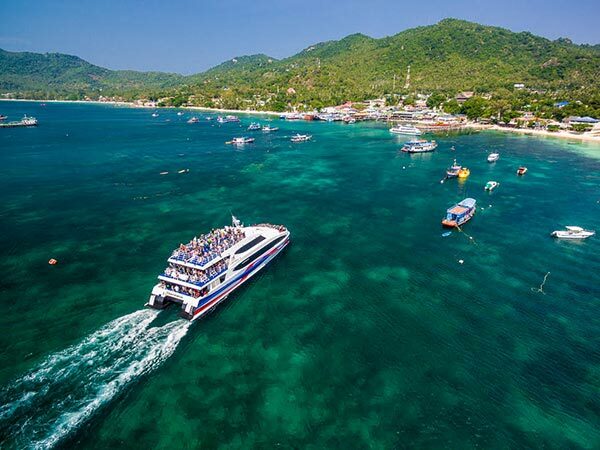 If you want to explore the party life here with a group, why not join the Koh Tao pub crawl? However, the main activity on Koh Tao is scuba diving. These poorly written articles in the main stream media about murders on our little island now make travelers question the Koh Tao diving safety. As far as diving safety in Koh Tao goes, consider this. There are many dive operations on our little island. We collectively certify loads of divers every day. As a business none of us can afford to slip up as we would be out of business the very next day. Dive organisations such as PADI, SSI and others have a very close eye on what we do here in Koh Tao. After all it represents a huge percentage of their business. Keeping to standards and safe diving practices is not something we do only on days we feel like it, but something that is natural to every professional on the island. Experience as an instructor and dive guide comes from having done the job over several years. Having certified and guided many students and fun divers makes the community on Koh Tao some of the most experienced dive professionals in the world. As a tourist, traveler or backpacker on a gap year the responsibility after all is yours. Should you travel Koh Tao alone or in a group? How do you travel Koh Tao? How to stay safe in Koh Tao? That depends on you. Would you venture down a dark lane way at 4am in the morning in a city you don’t know? Would you ride a motorbike drunk for the first time in your life? Would you jump a rope on fire after a few buckets of alcohol? Maybe you would and maybe you would be fine. Or maybe not. Where you get your information from in order to make a decision whether to travel Koh Tao or not is your responsibility. Most of us here came here on a whim, because we met another traveler and shared a Singha Beer in Koh Phi Phi and they told us to check out Koh Tao. Now years down the line we call paradise home. Traveling in the modern day is very different. Information is available in abundance and at your fingertips in the most remote of places. The media, social media, business competition all attempt to influence potential customers. The interpretation of this information is every individual’s responsibility. Is Koh Tao safe for travelers is not information that is available on the internet. There is a vast amount of information about Koh Tao and an abundance of opinions and interpretations of information about Koh Tao travel safety that is there for your interpretation. Every bit of information, however unrelated to your personal journey creates a cascading effect shaping your opinion. Would you never travel to London because of the London underground terrorist attacks? We encourage you to not simply follow the herd and let media influence your trip. Make up your own mind and hopefully we get to welcome you on our island. Have you been to Koh Tao recently? Share your experience with us below.